It seems to me that the aging process presents only two viable options to the high-strung, outgoing creative type, namely, either to mellow or surrender to the temptation to go all Bette Davis in the later years. Having recently relocated from New York to San Francisco, I’m working on getting my cool on, but I must admit it’s a struggle. So which will it be, folks, battle the madness or start coloring outside the lines with my lipstick as we roll on into crazy town? I think you know. I think we all do. Tags: Aging, Bette Davis, creative type, elizabeth taylor, Joan Crawford, Life plans, Thought for the day, What ever happened to Baby Jane, Who's Afraid of Virginia Woolf? Another oldie but goodie. Bear with me folks. I’m relocating, and moving house is not as easy as it used to be. Love her or hate her, Miss Lawson is for many the original short-cut taking, taste-as-you-go then eat-with-abandon kitchen slattern, and for that alone I will always be a fan. I stumbled upon Nigella Bites in 2001 and loved the show’s clever editing, Nigella’s girlfriend-y chatter and her refreshingly relaxed approach to both cooking and eating. Over the years, however, as the domestic goddess juggernaut picked up steam, I began to feel a creeping unease, and by the time we got to Nigella Express in 2007, the experience of watching her cook had begun to make me squirm, and not in a good way. With adjectives multiplying like randy bunnies and the chatter taking on a, how shall I say, slightly overheated feel, the experience became more than I could reasonably endure, at least without a partner. 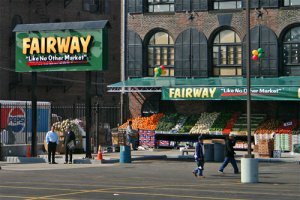 I’m writing today to clarify certain events leading up to the recent unfortunate situation in your Red Hook store involving myself, the assistant manager, six grocery carts, some allegedly stolen beer and my car. First, I’d like to assure you that my personal liability umbrella policy is up-to-date and all damage to your property and medical expenses incurred by your staff will be covered. This is, however, in no way an admission of guilt. I maintain I was provoked, even driven to despair, in the hours leading up to the “incident” in the parking lot, and in the interest of avoiding further such problems would like to explain. I know I am not alone in my feelings about your store. Mi scusi. I haven’t posted in a very long time, but Mr. Slattern and I are in the throes of our yearly pilgrimage to the land of Beppe Grillo, sidewalk opera and five dollar bottles of quality wine, which almost invariably lead to intimate encounters of one sort or another with the carbinieri, most of whom are the soul of understanding and patience, or so I have found. 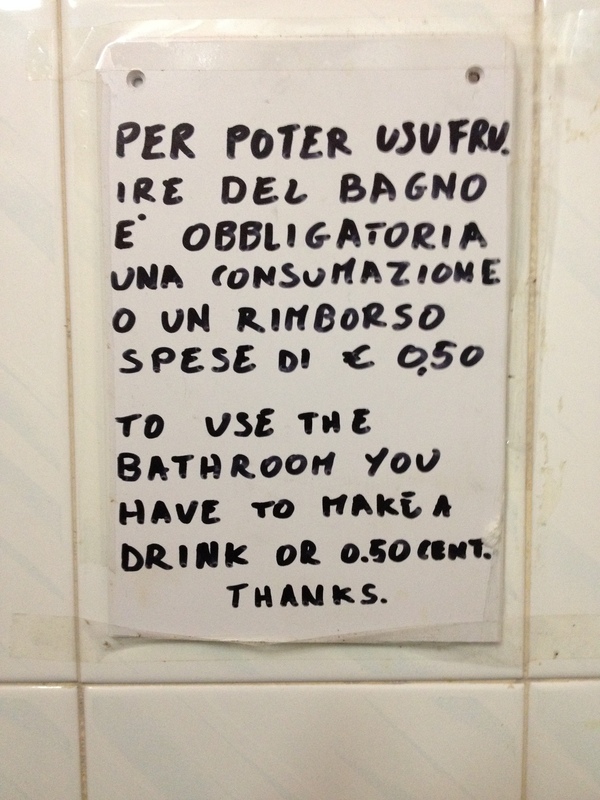 In any case, I stumbled upon this little missive to the masses in a pissoir somewhere in the hills of Tuscany and was hoping one of you might be able to decipher it. In case you are wondering, I have found that the purchase of a bottle or three of Barolo tends to make even the most recalcitrant barman or shopkeeper entirely willing to cough up the keys to the squatter at almost any time of the day or night. And isn’t it lucky that I can make a drink with nearly any ingredients and in virtually any state of inebriation? A real lifesaver of a skill, let me tell you. More as events unravel. Ciao ciao, belle! 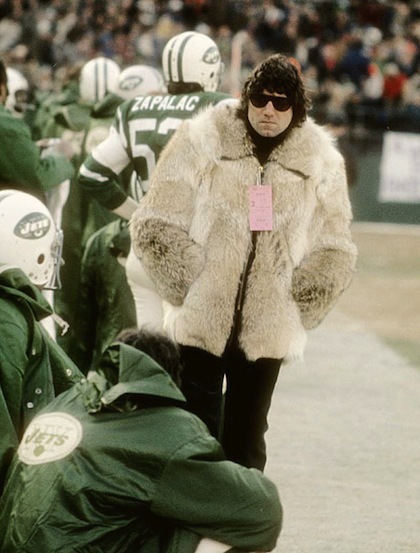 For instance when I see Broadway Joe wearing his pimpin’ big mink coat. That’s when it all comes back to me — the dry look, curly perms, leisure suits, ABBA. 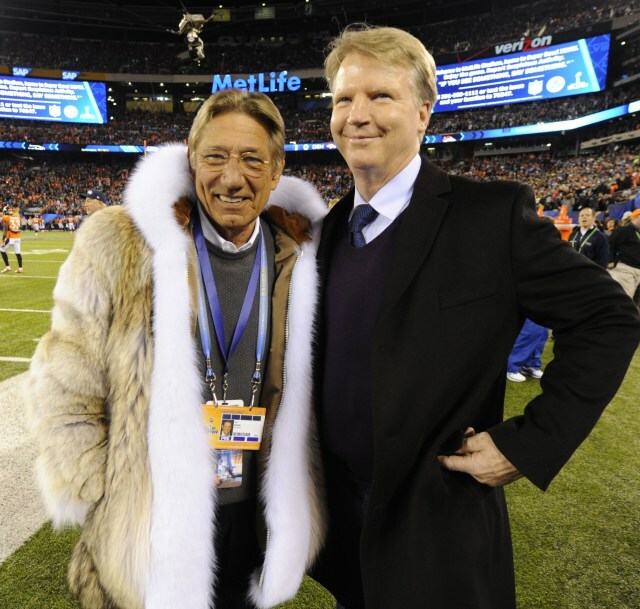 Joe Willy Namath, back in Jersey and still looking mighty fly. And then I really miss the Seventies.